A volcano is any opening in the Earth’s surface that allows molten rock and volcanic gases to escape from far below the Earth’s surface. Although many volcanoes are mountainous in shape, a volcano can exist in nearly any form, including volcanic vents on the ocean floor, ice volcanoes, which have been found on a variety of other planets, and volcanoes that are simply a crater in the ground. Despite the variances in the shape of volcanoes, they all erupt in relatively the same way. 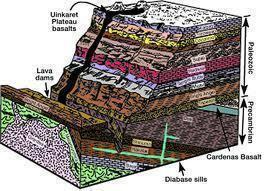 The process begins when the pressure on a magma chamber deep below the Earth’s surface begins to build up. This building pressure causes the magma from the chamber to be forced upward through a series of tubes or conduits. As the magma reaches the surface, it is thrust through the vents on the volcano, resulting in an eruption. If a volcanic eruption has a low amount of water as well as a low amount of silica in the magma, the lava will flow gracefully from the volcano. 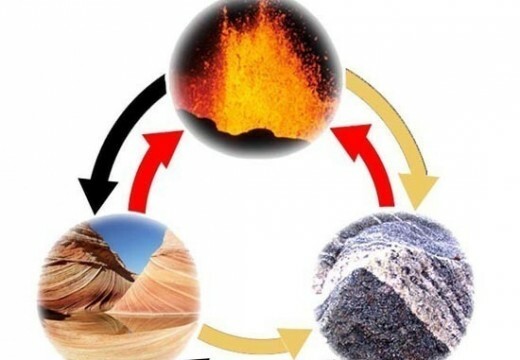 This is because there is little water to provide any explosive potential and the lack of silica in the magma causes the lava to be runny and more liquid. Under the same conditions, if the magma were to have a higher amount of silica, the lava would become pasty and would work more towards making the volcano taller and create what is known as a lava dome atop the volcano. If there are high amounts of water present in a volcanic eruption, the volcano changes its eruption style significantly. 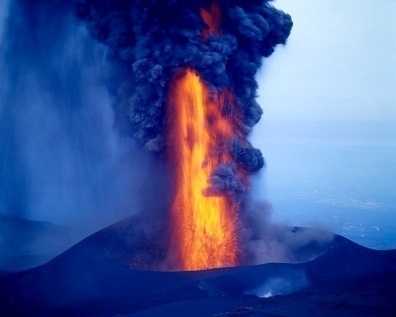 The added water creates steam, which can lead to fountains of lava if there is not much silica present in the magma or an explosion if the magma erupting from the earth is high in silica. Despite the powerful forces at work during a volcanic eruption, there are a few things that can block a volcano from erupting. One such obstacle is an accumulation of pumice, which can create a massive stoppage in the magma pipes. However, once the magma finally breaks through its barrier, an explosion type eruption usually takes place. 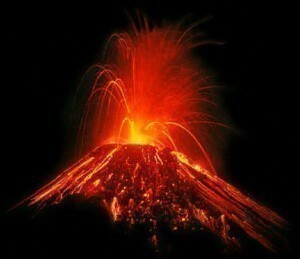 volcanoes erupt because of the magma rising through the vent!!!!! hope this helps guys! They exist because the magma in the ground form the volcano. When it explodes, the lava dries on the volcano and the volcano gets bigger over time from the dried lava. Volcanoes explode due to the amount of pressure from the magma. The volcano explodes when there is no more room for the magma. When the volcano explodes the magma turns into lava. Y Do Volcanoes Exist Ffs? :@ . volanoes are always thought of big mountians with a hole on top like a f***ing rock!!!! how many times a year do volcanos erupt? how do volcanos effect people? But how do magnets work?! i know c; so how you been ? how do they form the lava? 114 queries in 0.265 seconds.